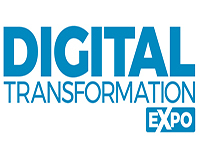 If you are considering exhibiting at IP EXPO, Cyber Security X, or AI-Analytics X which are co-located at Digital Transformation EXPO but need some help making your final decision or looking for data to help you build a business case, look no further. The below statistics will help you to fill in the gaps which demonstrate how a successful event can far outweigh other marketing channels in generating leads and engagements for sales. Seeing is believing: Visitors who encounter you at live events think your brand, product or service is 28% more innovative than they did before they attended.